Happy 2019! May the new year be filled with health and happiness for all. 3rd and 4th grade began the month of January by celebrating their Special Person breakfast. Thank you to all those "special people" who were able to join us. 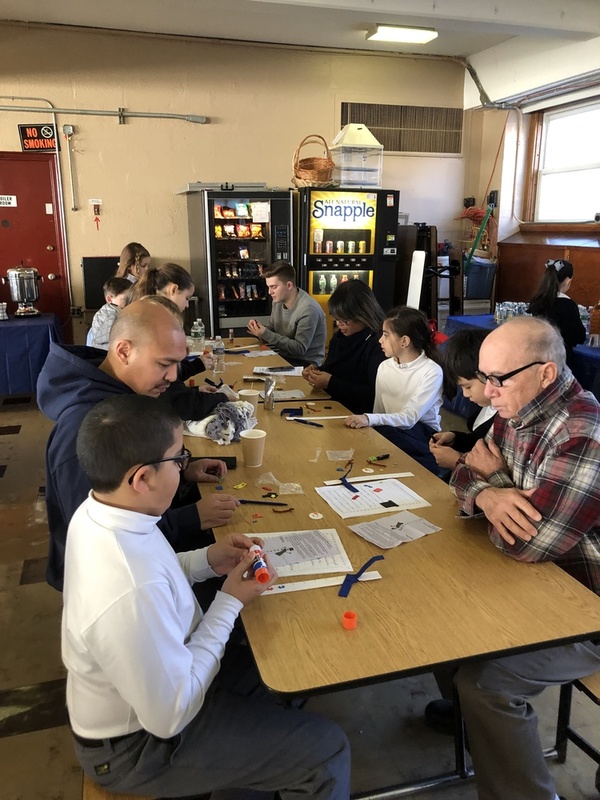 The students interviewed their special guest and then spent quality time together making Snow Measuring Sticks ( hopefully we won&apos;t have many opportunities to use them!). The students took Unit Exams in Math and ELA and a midterm in Religion. They are now hard at work learning new things and preparting for State Exams later in the year. 3rd grade will be creating their "ideal camp site" using the information they have learned on landforms; while 4th grade will be creating "Ecosystems in a Box" to show what they have learned about various ecosystems. Check back later for pictures of both. In Math, 3rd grade is working on multiplication, while 4th grade is getting ready for long division.